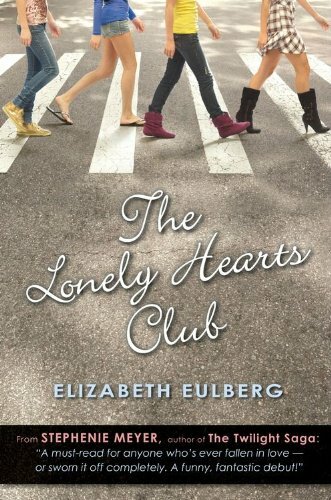 Penny is tired of boys, always cheating on her or treating her wrong, so she decides to created a club for the lonely people like her. Of course, she never thought so many girls would join her! Penny was such a great protagonist. 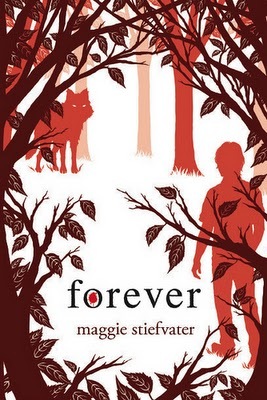 I admit it, while reading the first chapter I thought I wasn't going to like her, but she manages to became one of my favorites ya protagonists. She actually matures and grows up to be an amazing girl. I couldn't believe some of the things that happened to her, as the principal's disrespect for her club and her or the people (like other girls) being mean to her. But in a way, it's very realistic. People is mean, and still exists people who don't accept girls have power (probably because they are scared). But I loved how Penny managed all of this with the help of her friends and parents. Penny and her family are fans of The Beatles, and the club's name is based on one of their songs. Personally, I love some of The Beatles songs, so I actually enjoyed the references and lyrics on the book. Besides, it was really cool and original for the author to find the perfect song for each chapter. Overall, I loved The Lonely Hearts Club . 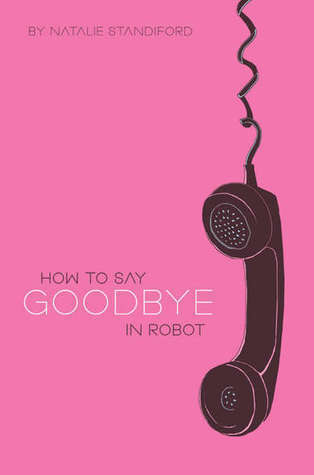 It's a quick, fun and light read, perfect for when you need a little bit of girl power! More about this book at www.elizabetheulberg.com, Goodreads, Amazon , The Book Depository. 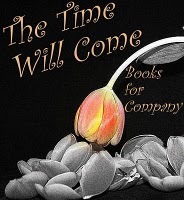 The Time Will Come is a weekly meme hosted @ Books for Company, where you can spotlight those books that have been on your shelf for awhile and you really want to to read them. New to town, Bea is expecting her new best friend to be one of the girls she meets on the first day. But instead, the alphabet conspires to seat her next to Jonah, aka Ghost Boy, a quiet loner who hasn't made a new friend since third grade. Something about him, though, gets to Bea, and soon they form an unexpected friendship. It's not romance, exactly - but it's definitely love. Still, Bea can't quite dispel Jonah's gloom and doom - and as she finds out his family history, she understands why. Can Bea help Jonah? Or is he destined to vanish? I already read one of her books (Confessions Of The Sullivan Sisters ) and really liked. This one has excellent reviews, but they sad it's heartbreaking. I admit that is the reason why I haven't read it yet, I wanted to read something happy... But, I'm really curious about this book, and as I said, I like the author so I'm sure I'll read it. I just love the covers of this series. And I really want to know how it will end. When Cammie Morgan enrolled at the Gallagher Academy, she knew she was preparing for the dangerous life of a spy. What she didn’t know was that the serious, real-life danger would start during her junior year of high school. But that’s exactly what happened two months ago when Cammie faced off against an ancient terrorist organization dead set on kidnapping her. Now the danger follows her everywhere, and even Cammie “The Chameleon” can’t hide. When a terrifying encounter in London reveals that one of her most-trusted allies is actually a rogue double-agent, Cammie no longer knows if she can trust her classmates, her teachers—or even her own heart. The Gallagher Girls series is one of my favorites, so of course I was excited to read this one! At Only the Good Spy Young, we already know Cammie is in danger. Her life is very controlled now, and things are changing not only at her school, but with her family and friends as well. I loved this book. It was darker and serious than the previous, but it was perfect that way because Cammie is older and in a very dangerous position. I was very happy with her relationship with Zach, not only because they are very in love, but because finally Cammie learned about him, his finally and which side he is. It's still a mystery for me why she's in danger, but I believe the next book will give me more information about that. I loved the spy missions, and the ending was really surprising and frustrating, and at the same time so exciting! 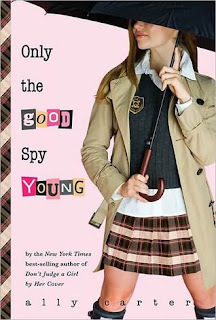 Overall, Only the Good Spy Young may be my favorite book from this series. As always, the author managed to surprise me and I can't wait for the next book! More about this book at allycarter.com, Goodreads, Amazon , The Book Depository. Most of the reviews I read from Glimpse said it was a great book, so when I won it, I was very excited to read it. Zellie is a young girl who has visions. She's very in love with Avery, and when they finally get together she has a vision about them, an awful vision where she's pregnant and he's dead. I thought Zellie was ok. She was the typical teenager and as many YA books, her romance with Avery was very rushed and unrealistic. One day she was too embarrassed to talk to him and next they are in love and will do anything for each other lives. The rest of the characters, as Zellie's family weren't for me. Specially her mother and Avery's father, which I thought they were very unfair and immature. Really, I just didn't want to read about them. The plot was interesting and that's the main reason why I read this book. I like characters with "powers" as Zellie, who can decide if they want to do something good with them, and it was refreshing to see that she actually made mistakes while tying to save everyone. 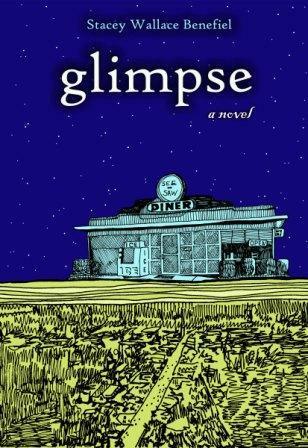 Overall, Glimpse wasn't a book for me. It was ok, but I think some of you may enjoy it more, specially the ones who likes paranormal. More about this book at staceywb.webs.com, Goodreads, Amazon . Megan @Reading Away The Days!